Shumaila Didarali is our Practice Manager and a qualified dental nurse who loves educating our young patients on how to keep healthy mouths from an early age and helping patients resolve any issue. 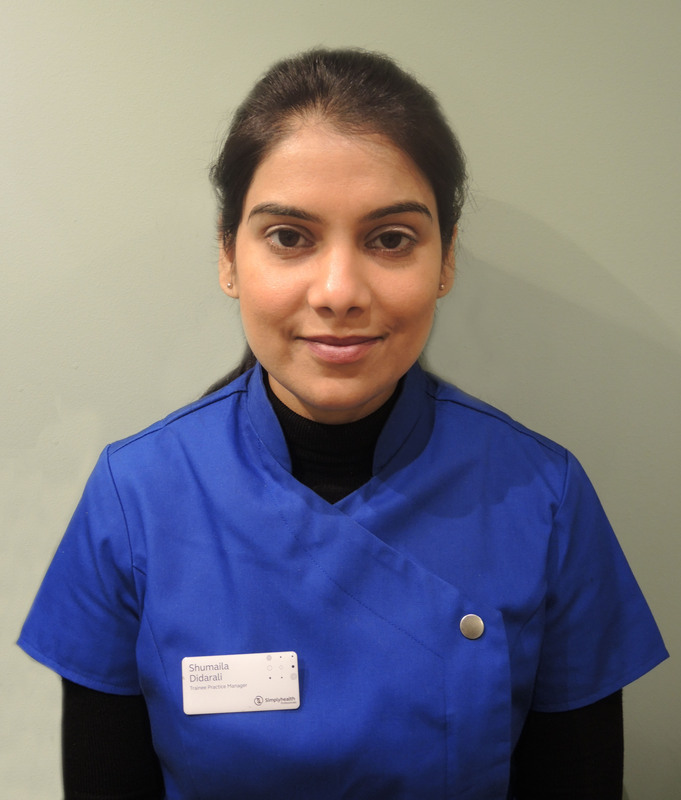 After graduating with a degree in computing, Shumaila moved from her hometown of Karachi in Pakistan to join the team at Ravenscourt Dental Practice in 2008, where she gained her NVQ Level 3 Dental Nursing qualification. Shumaila excels in chairside duties and is always helpful and fast at aiding patient enquiries. She also takes an active role in educating young children on how to clean their teeth and gums, giving presentations to nurseries and schools. Shumaila has recently completed a leadership skills and management course alongside being mentored by Dr Batavia. She has recently been appointed in the role of Practice Manager, where she is drawing on her 8 years of experience with the practice to ensure everything runs smoothly so that our patients have the best possible experience.